Albuquerque Black Friday sales once began the day after Thanksgiving, but with social media the opportunities to save begin much sooner. Many retailers are opening their doors on Thanksgiving day for shoppers to take advantage of bargains. Black Friday, the day following Thanksgiving day, is still a day packed with frenzied shoppers. Black Friday got its name because it has the ability to put retailers in the black. 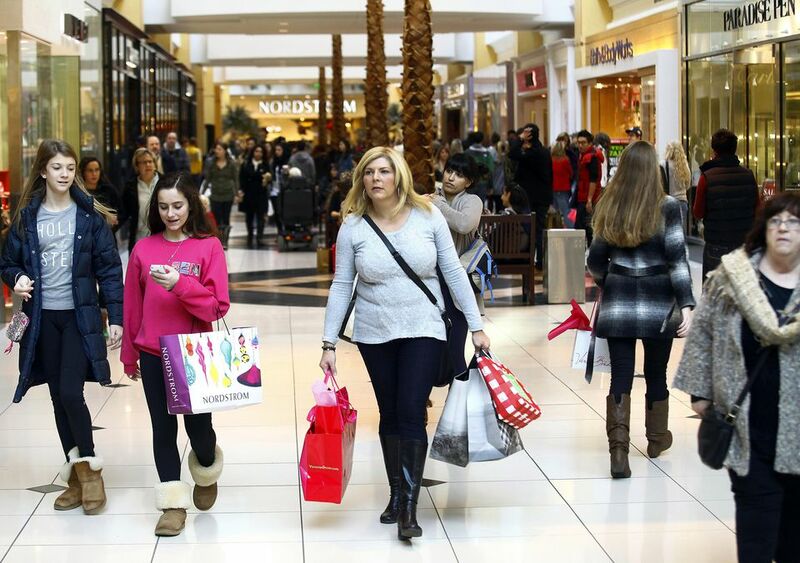 When sales begin at holiday season, the Friday after Thanksgiving, retailers begin to smile. Find information on Black Friday sales in Albuquerque and elsewhere. Find store hours for Thanksgiving Day and Black Friday. The sales have already started at JC Penney, Sears, Target and WalMart, with specials being offered on many items in store and online. Check for free shipping on orders over $50 and Daily Deals. Some stores are open on Thanksgiving Day. Find out where to shop on November 22. Target and other major retailers will officially start Black Friday sales on November 23, Thanksgiving Day. Many early specials can be found online the week prior to Thanksgiving. They offer weekly ads, daily deals and Cyber Monday. Cyber Monday begins on November 26, with deals that can only be gotten online. Daily deals feature free shipping. Shop early at Target, Macy's, Sears, Kohl's and WalMart. Sears and KMart announced their return to the layaway program of yesteryear. Forget the interest if you can, and squirrel away early with partial payments over time. Programs are available as Christmas Clubs, online layaways, or in store programs. Other stores that offer layaway for big items include select Best Buys. Cyber Monday is the first Monday after Thanksgiving weekend. Shop online for special offers that include free shipping. Hourly specials and exclusives, sneak peeks and hourly deals via email alerts will keep the bargain shopper on his/her toes. You may be thinking laptops and sweaters, but the economy has helped create discounts for big ticket items such as cars. According to CNN Money, Black Friday is now the best day of the year to buy a new car. The big home stores are part of the shopping savings, from Lowe's to Home Depot to Sears. The big chains such as Staples are now on Facebook and Twitter. Follow the trends to the latest sales, and sign up for email updates at your retailer of choice. It will get you up to the minute information directly from the source. If you don't mind participating in auctions, consider bidding for products on QuiBids. Sign on and begin bidding, much like you would on eBay, for a particular product. You can always shop for electronics the old fashioned way. These local stores offer seasonal discounts and Black Friday sales. Check to see when they open. Luckily enough, we live in the digital age. It's easy to get online and find the sites that give advance information on what sales and discounts they've made available. Sign up for email alerts from any of the chains stores, such as Radio Shack, Target and Toys 'R Us to stay on top of sales events. The mall websites also have email sales alerts, so sign up with them as well. There are also national websites that provide sales information specific to Black Friday events. The information at Black Friday.com provides tips on what's hot this year for Black Friday sales, where to get coupons, and an inside glimpse at Black Friday ads. Find out what the predictions are for this year's hot ticket items.These sites have information in advance of sales and deals. There's an iPhone app for tracking Black Friday sales. Check the shopping site dealnews to download a free app. Once Black Friday ends, the app will list CyberMonday sales. Black Friday compiles coupons, deals and a list of national stores that offer Black Friday specials. Black Friday at Gotta Deal has inside tips on upcoming Black Friday sales, links to nationwide retail specials, an offer for a cash back Black Friday Discover credit card, and even a Black Friday survival kit. Deals of America offers online shopping discounts at local and national stores. Black Friday has plenty of bargains, but it's also a busy, crowded time. A little bit of prior research will go a long way to making the experience a good one. Arm yourself with a few tips before heading out the door. Because of the tough economy this year, retailers will offer deep discounts, but it's important to get there early to get the deal, whether online or in store. Get price comparison shopping done ahead by utilizing PriceGrabber.com to compare prices and product options. Be on the lookout for early bird shopper discounts that offer limited hours and no rain checks. Find the stores you need to hit between certain hours and plan your route to optimize your time. Purchase the Albuquerque Journal and browse the ads, coupons and circulars. It will be your biggest source of savings and information on deals. You'll want the paper that comes out the Sunday before Thanksgiving and the Thanksgiving Day paper. Get gift receipts in case your recipients need to make an exchange. If you love shopping the Black Friday sales but hate coming home to cook, consider putting together supper beforehand with this step by step entertainment guide. If you have information about Black Friday sales that Albuquerque shoppers would like to know about, email your tips. Find shopping hours for Thanksgiving Day and Black Friday. With over 300 businesses, Nob Hill has something within walking distance of your parked car. These neighborhood businesses go all out year round and are sure to offer specials on the most famous shopping day of the year. Find some special Christmas cards at Papers, or Mexican folk art at Masks y Mas. After browsing and picking up those special Christmas gifts, stop by one of the many restaurants Nob Hill has to offer. Stop in for a pint at Two Fools Tavern. This part of town always decorates to beat the band, and if you're busy shopping the mall sales on Black Friday, head back to Nob Hill for its annual Shop and Stroll event on Thursday, December 1. The Uptown shopping center is small and walkable, with plenty of parking close by. There are clothing stores, restaurants, and a variety of upscale national chains, such as Williams Sonoma PotteryBarn, and the Apple Store. With nearby housing, the shops have become part of an integrated community model that points to the future. Some of the best Black Friday deals to be found are at Coronado. The holiday gets kicked off with a special offer. Spend $100 or more on the morning of Friday, November 25 and get a $10 mall gift card at the Merrier Shopping Redemption Zone in Sears Court. The mall also offers pictures with Santa or a picture with your pet and Santa. The mall has many of the major department stores which offer their sales online before Balck Friday. Santa will be on hand for picture taking at Cottonwood Mall. What's the Deal With Deals on Black Friday and Cyber Monday?